Pet obesity is a serious issue for American pets. Over 50% of dogs and cats in the United States are either overweight or obese, which puts them at an increased risk for developing high blood pressure, diabetes, heart disease, liver problems and some forms of cancer. 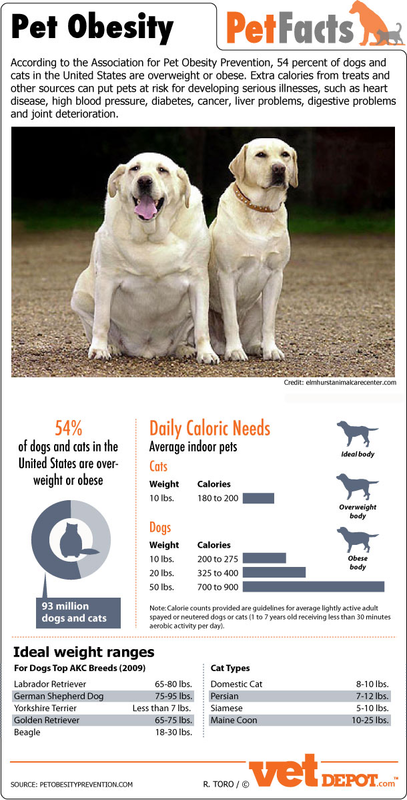 Pet owners should be aware of the daily caloric needs of their pets and consult with their veterinarian regarding the best diet and exercise plan for their individual animal.